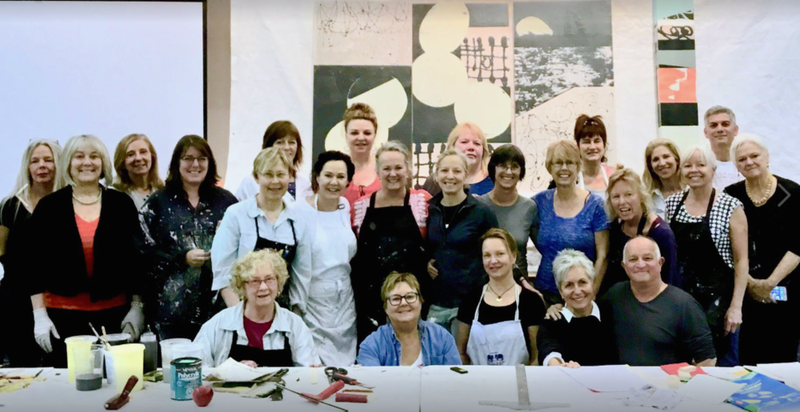 Blog > Artist Workshop in Victoria, B.C. 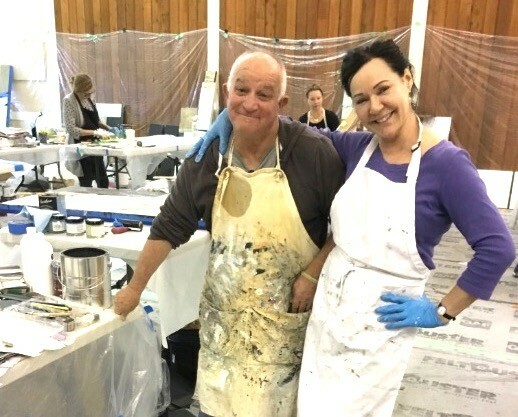 Artist Workshop in Victoria, B.C. 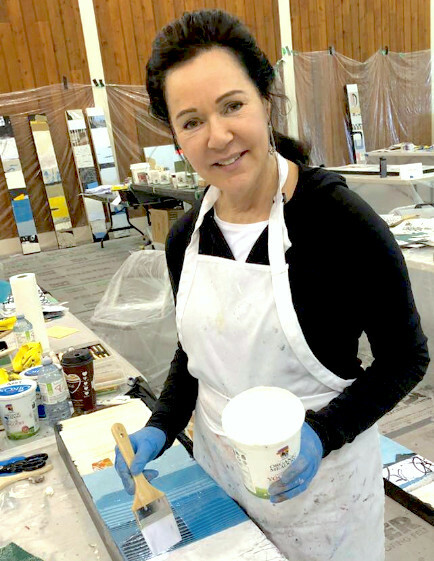 I attended a professional artist workshop in Victoria, B.C. recently with California artist Michael Shemchuk. It was a total game-changer for me creatively. This picture of California artist, Michael Shemchuk and me brings a smile to my face. He shares my mutual love of paint, design and process. Plus he reminds me of a leprechaun with a delightful sense of humor. I came away incredibly inspired by his approach to painting which opened me to a completely new way of working. This workshop was by no means a picnic. There were 22 other really talented artists from all over Canada and the US. The days were long and intense. We were each in our own little 100 square feet of space, working intently pretty much all the time. Michael Shemchuk, or "Shem" as he likes to be called, would give us a one hour slide show and demo every morning and afternoon. After that we were basically on our own. I found myself on my feet painting from 9am to around 7pm every evening. Oddly I was never tired - only exhilarated. 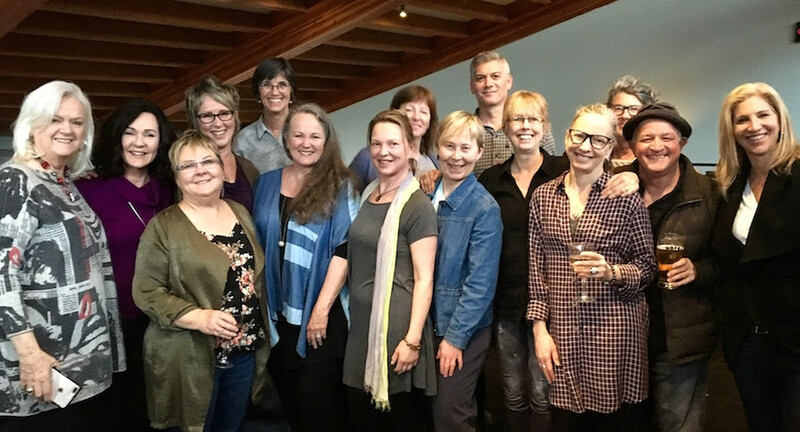 It was a wonderful way to meet and make connections with other contemporary artists, most from California and Vancouver. After being on our feet all day, no one felt much like socializing in the evenings. But we did plan a group dinner one night. The first 'before' picture below is us in the studio.The second 'after picture is us all cleaned up at the restaurant. Since coming home to my own studio, I've been excited to begin a completely new body of work. Check back for my next blog post where I'll show you the paintings finished at the workshop.